Sliding and folding T-handle makes for a compact tool. The BikeMaster® 14 in. Compact Sliding and Folding T-Handle is made of heat-treated vanadium steel and is chrome-plated for durability and long life. 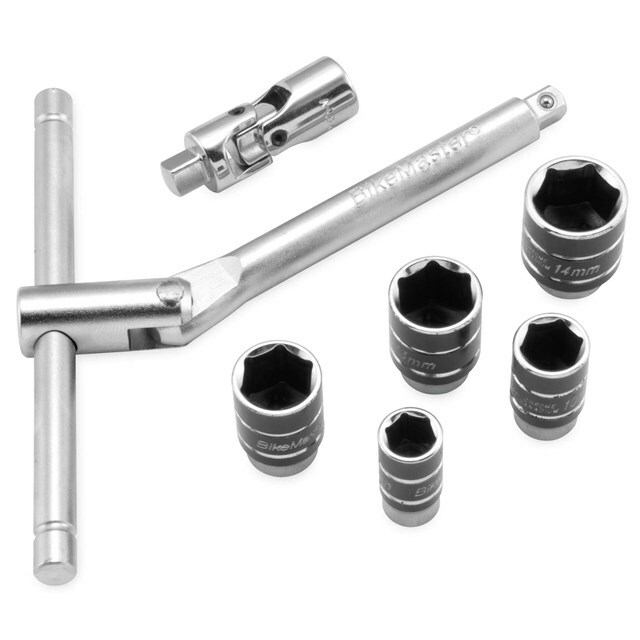 The T-handle has ball bearing detent socket holders on each leg. The sockets are 6-point for a sure fit. It comes with a manufacturer’s lifetime warranty.